It’s what it sounds like: a library to lend tools. How many drills are sitting unused in Halifax basements right now, and how many need a drill today but don’t have one? How many people need to learn how to use tools? How many would like to teach them if there were a place to do it? And how many residents have tools, but don’t have space to use them? A place to share what we have gives us all more. Anyone wanting to create a project, or improve the community, should have no barriers to doing that work. We want to make it easy for all residents to build what’s new and fix what’s broken. Environmentally, it will allow us to buy fewer unnecessary tools and save old tools from going in the dump. Socially, it will mean that everyone, whatever their background, can afford access to the tools they need. Economically, it will give experienced people a way to share their employable skills. And for proud residents, it will help us fix up our homes and create a more beautiful place to live. Follow the link to the survey above and help us make this Halifax’s project. Like us on facebook and share with friends help us build momentum. 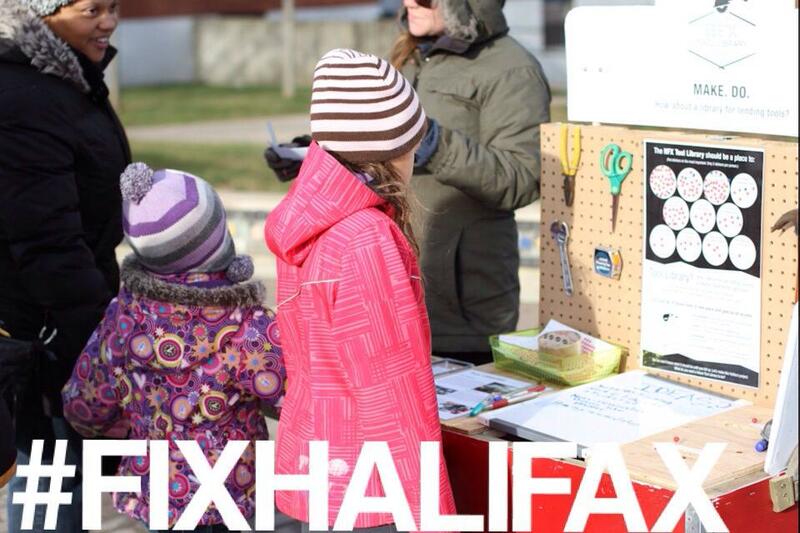 Follow us on twitter at @HFXToolLibrary to hear the news.